The ultimate underbust, Ophelia will soon be your new best friend, shaping and smoothing with confidence. 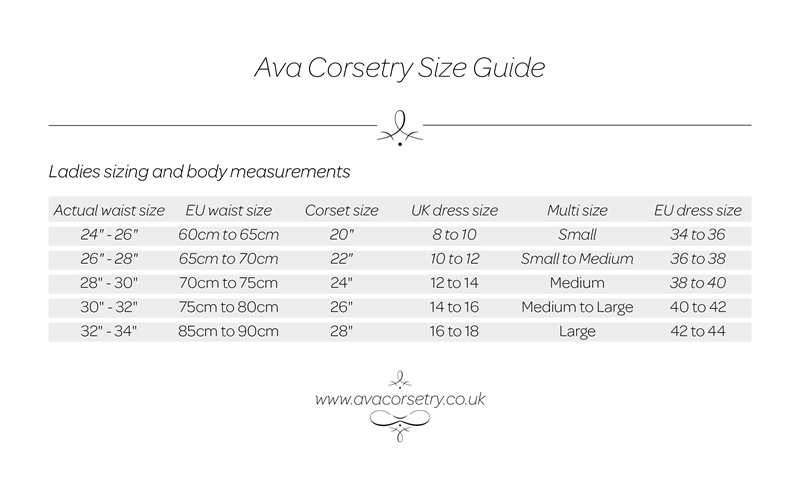 Perfect for beginner corset wearers, or comfortable enough to wear all day long with a little experience. 26cm in length at front, Ophelia is made from top quality corsetry coutil & Japanese duchess satin. Superb German steel boning and busk feature internally with a full cotton waist tape for extra support. Two piece silver eyelets finish off this lovely corset. As shapewear underneath dresses & skirts for greater curves, support or that true vintage shape. Or show it off as outerwear.